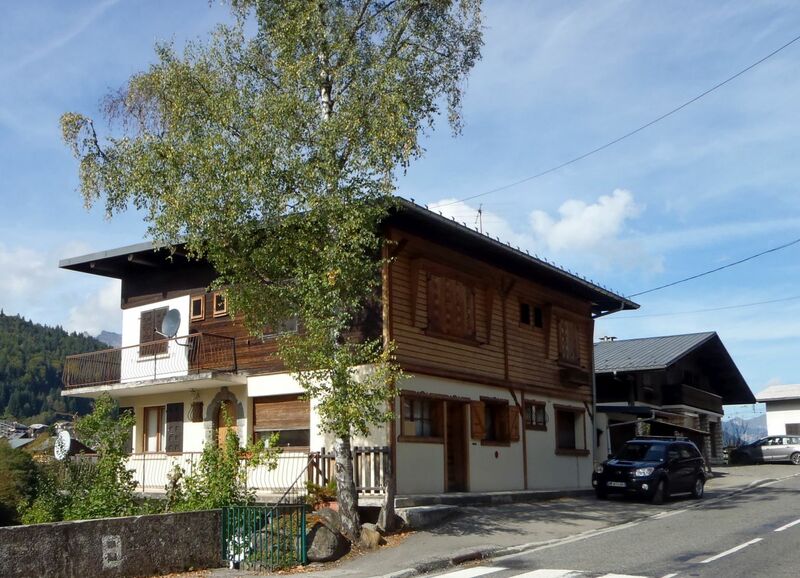 Chalet Hibou is a spacious apartment sleeping 9 comfortably, offering a high standard of comfort, and in a great position just 5 minutes from walk the SuperMorzine lift and the Bourg area of Morzine. In addition, the views from the lounge picture windows and main floor bedrooms are amazing - you can see the whole panorama of the Pleney and Nyon mountains! On the main floor is the big kitchen, with all the equipment you could need for self-catering; a spacious warm lounge with fireplace and comfortable sofas; large dining table; three good-sized bedrooms (one twin, one triple and one double, which has an ensuite shower / WC) and a shared shower room with WC. (The double room ensuite bathroom is being completely replaced ready for winter 2018-9). The triple room has a single bed and a set of bunk beds. Downstairs from the entrance hall is a further very large double bedroom with ensuite bathroom with bath, WC and separate shower, with double doors leading out onto the enclosed gravel patio. Under the stairs is the ski storage area and boot dryers. The chalet has central heating and ample hot water. There's a washing machine and plenty of drying space in the boiler room.